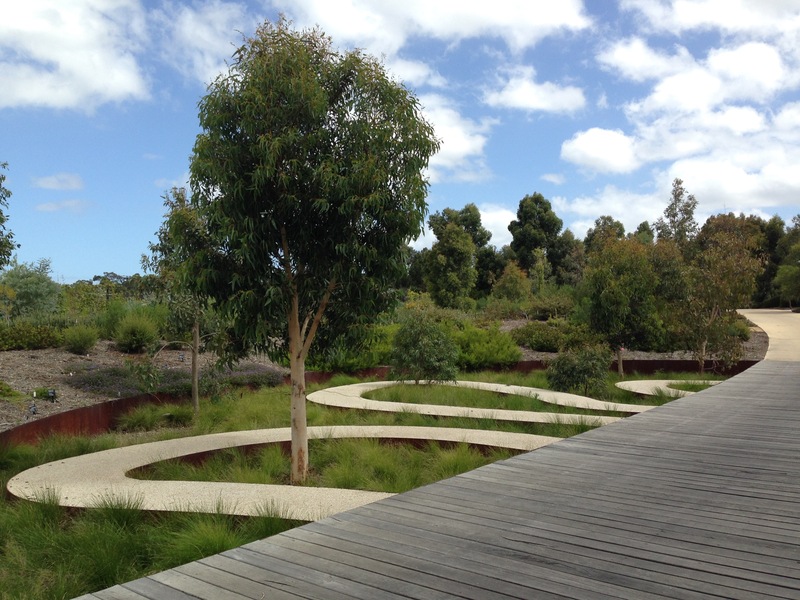 I’m just back from the Royal Botanic Gardens Cranbourne in Victoria, and with every visit I leave feeling incredibly inspired, but just a little bit sad. Inspired, because they are drop dead gorgeous. I mean absolutely visually stunning. Sad, because most Australians don’t truly appreciate the natural flora of their own country. At least not in a ‘backyard’ sense. 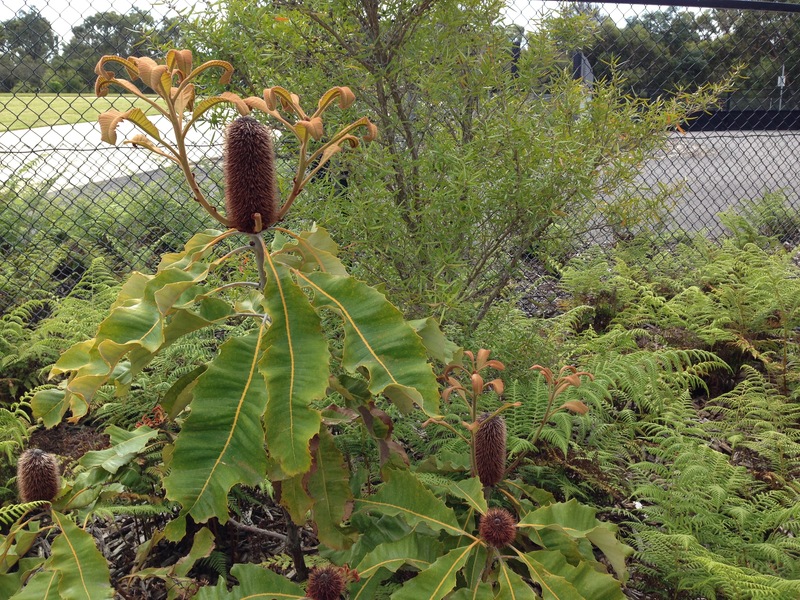 If you have ever doubted the beauty of natives for your garden, I implore you to visit Cranbourne. All your preconceived ideas will vanish. 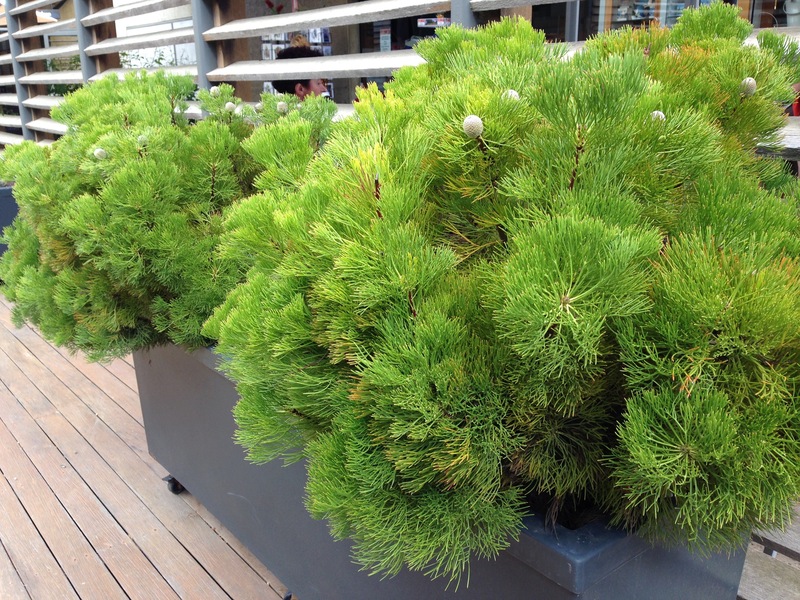 You will be amazed at just how lush, contemporary and easily convertible to a small garden, natives can be. 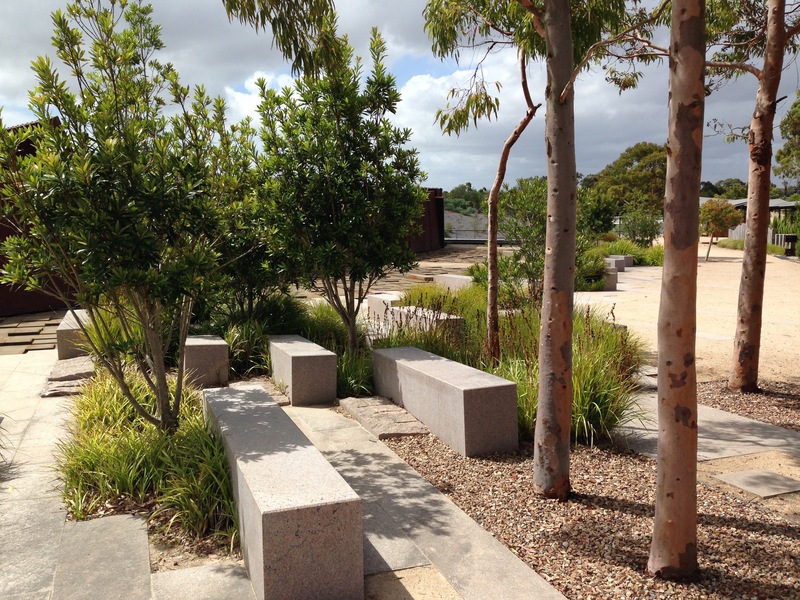 I’ve put together my thoughts on what I see as the key priorities for designing with natives…..
We have all seen lifeless bush gardens, with leggy, sparse, dull grey, bitty foliage. Think colour! Colour is one of the first things most people notice when they look at any garden. There are many different approaches that can be taken, but here are two broad brush options. 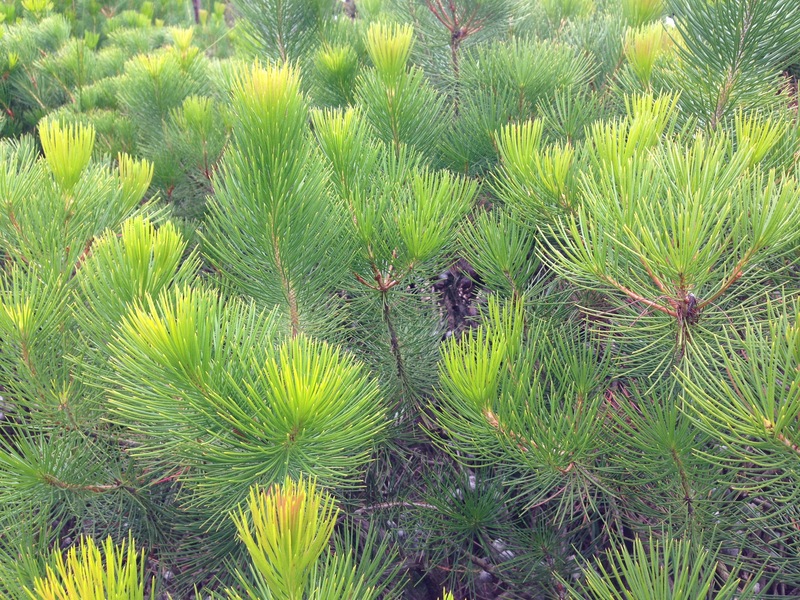 This bright green foliage blends perfectly with many exotic foliage colours. 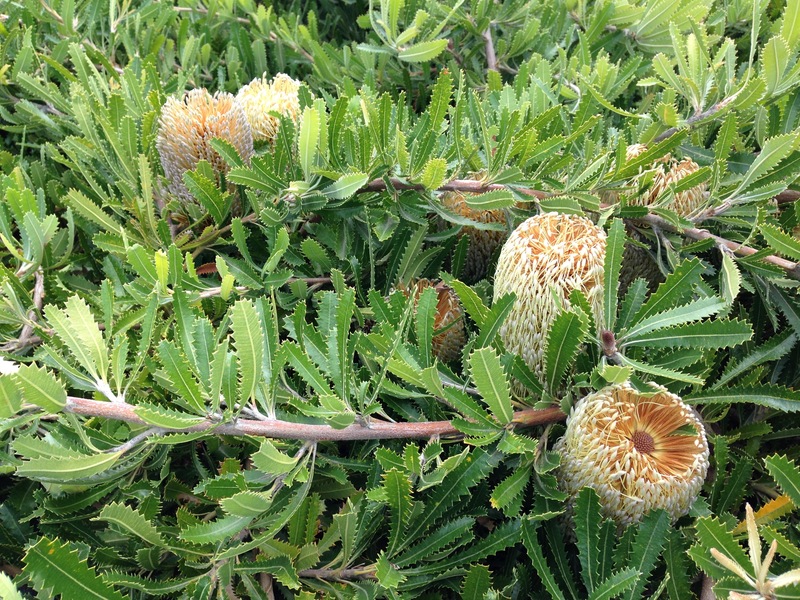 Calothamnus? If you live in the city, there’s a high chance most people in your street have magnolias and viburnums and other rich greens. I think it’s always best to work with your streetscape if you can; have the best garden in the street, by all means, but complement your surroundings so your garden has a sense of place. You want it to sit comfortably in its environment. You can achieve this by using natives with similar tones to exotics. Injecting some variety is fine, but keep the overall colour palette along the same broad lines as your neighbours’. A base of bright green, with your favourite colours layered over the top. 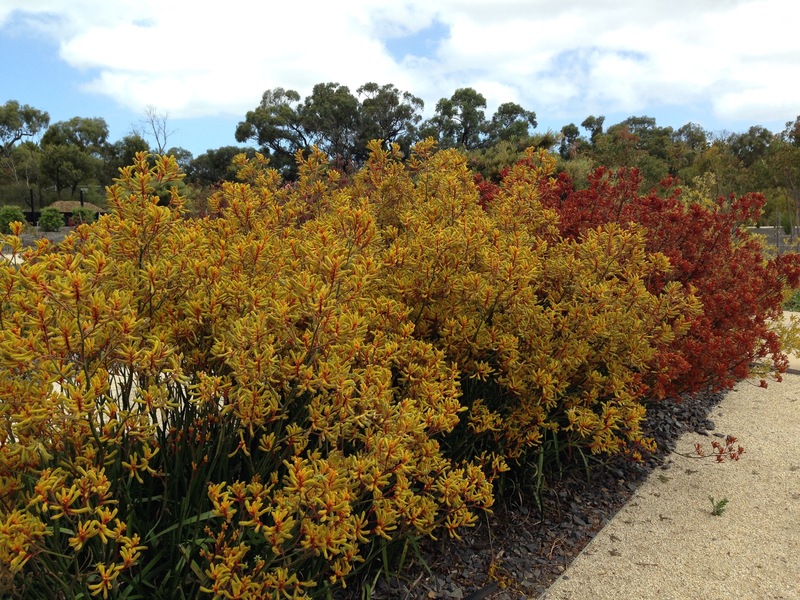 If you are lucky enough to back on to bushland, bring the natural landscape into your garden. Study which colours pop out. There might be metallic themes, white barks, or caramel tones – look hard and you will be able to pick out many shades. Choose three or four shades and then repeat them as often as you can, selecting plants for foliage, flower, seedhead, berry, stem and bark colour. You can add any number of green shades, as long as the ‘highlight’ colours are repeated often enough. For a garden, these focal colours need to really stand out; concentrate them as far as possible. Just as important as colour are form and texture and the key word here is contrast. A whole garden of non-descript, small leaved, 1.5m native shrubs is never going to capture the imagination. Just as with exotic gardens, we need to create a series of complementary combinations; vertical spikes with mounds, furry with glossy, strappy with ovate, rough with smooth, narrow with wide. Our eyes are attracted to contrasts. Pruning can be used to form contrasts too – tightly pruned mounds look wonderful next to vertical foliage, large leaves and more open forms. If you only have 20 plants, I would always plant them packed together in one small area, rather than spread out over a larger one. A full garden bed looks generous, vibrant, alive. It accentuates the colours and the contrasts. Do what planting you do well; don’t worry if you need to have larger areas of gravel or lawn – the overall effect will have much greater impact. A lawn or gravelled area looks like it is supposed to be lawn or gravel. An established garden bed with lots of exposed mulch looks like you skimped. If you look on the internet or in magazines, you can quickly find thousands of photographs of beautiful English, Italian or French gardens. It’s only harder for us to create beautiful Australian gardens because it’s a relatively new thing and we don’t have many examples to look at. It is not yet in our DNA. The principles are all the same though. 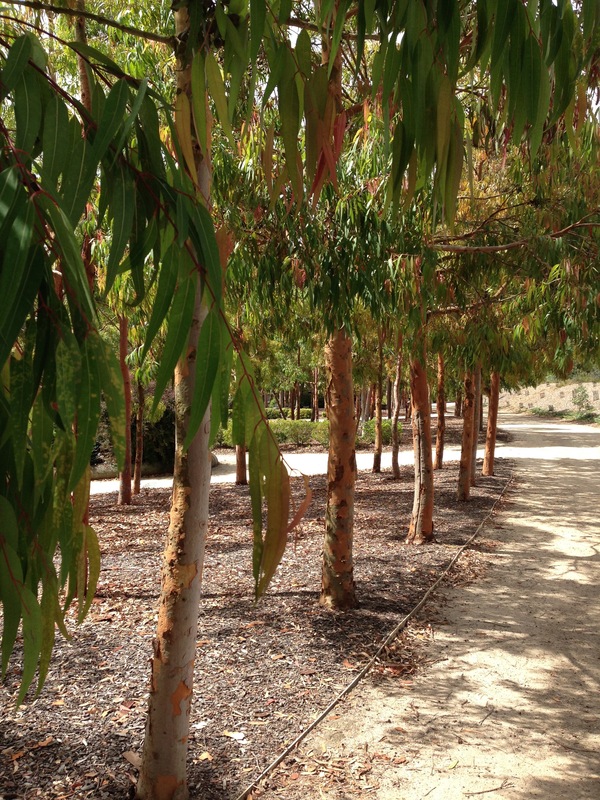 Look to other countries with similar climates, perhaps South Africa or California, and see how they blend plants. Don’t be hesitant to use their natives as well – the wider the plant palette the easier it is to create those beautiful contrasts and find just the right colours. If you have 30-50% Australian natives it can still feel very Australian. If your final thought is that it’s all too hard, especially as we rarely create a garden from scratch, please don’t be put off. You don’t have to start again to create an Australian garden, just start adding some natives that work with your existing scheme. Let it evolve. You never know, you might even get the native bug. For many, it crept up on us when we very least expected it! 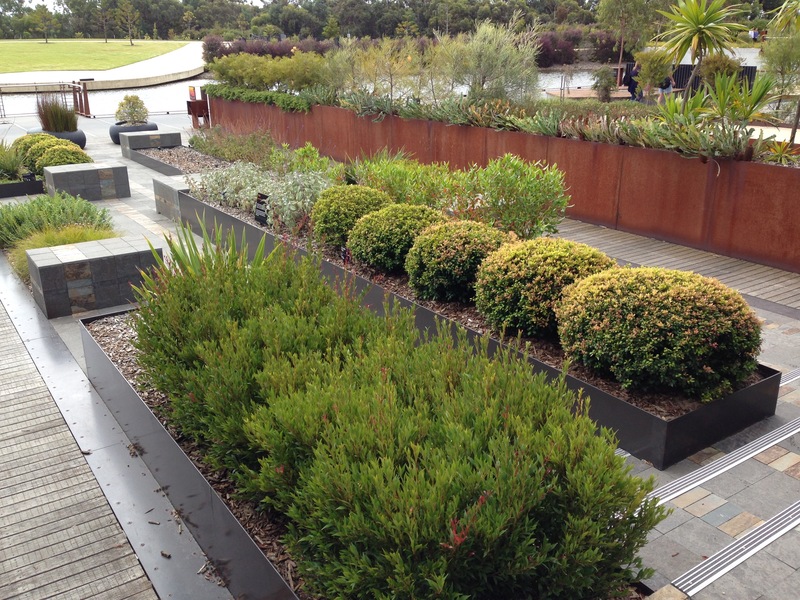 For more inspirational photos of Cranbourne planting combinations, click here. Thank you Janna for inspiring me to use natives. As you know, it is not my first choice. I can see what you are saying though and can see some of the photos have a lovely selection of plants. I suppose for me, I am in that transition phase and have included some as you suggested in the planting of my new garden. That is a big step for me given that I have never built a garden with native plants in it. Thank you for these wonderful blogs! I will send you photos soon of what I have planted so far. Oh, Louise, it absolutely makes my day (/week/month!) to get messages like yours. And we don’t need to give up on the other types of plants we love either – as you know, I love pretty English flowers too. There is a place for both and your property setting perfectly suits some of each. I can’t wait to see more photos! Thanks so much for your kind comments. Janna, your Cranbourne photos are lovely. I am a huge fan of natives, especially local area plants. 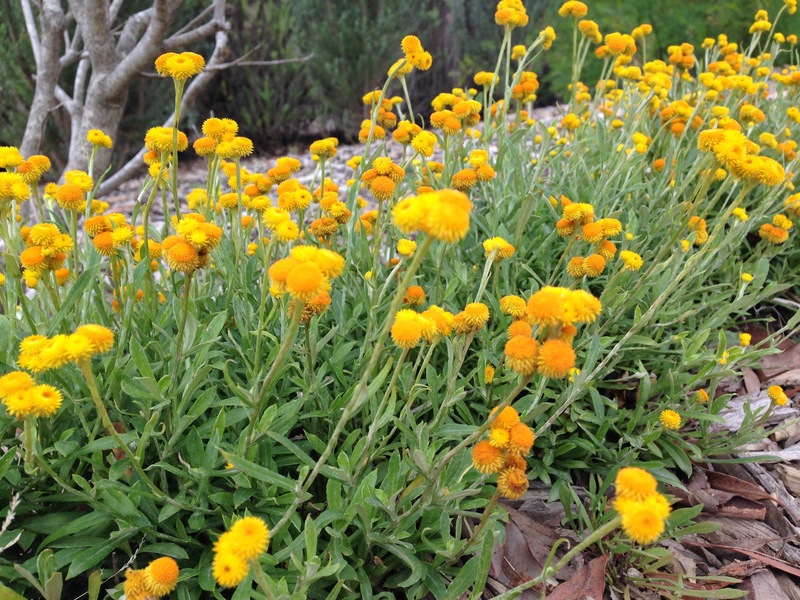 Despite our hot Perth summer many of my Eremophilias are in full flower. Husband Peter has recently planted an extended row of tube stock Kunzea ericafolia on the boundary and despite a blistering day on 44 and another of 40 today they are thriving. A large area along the driveway is NEVER watered and it is lush and green with lovely fluffy lilac flowers on the Melaleuca nesophila. I must confess that not all areas look so good and quite a lot is experimental but to me that is part of the fun of gardening. Thank you Janna for promoting our amazing and unique flora. Thanks, Suzanne. How wonderful that you have plants that are quite happy on a 44 degree day. It makes so much sense to plant things that actually like our weather, especially for areas like the driveway that you don’t want to be mollycoddling all day! I think we are allowed a few silly indulgences but it sounds like you have picked loads of fabulous plants. I agree, experimenting is part of the fun – if we ever ‘finished’ our home gardens it would be very boring! I envy you Suzanne. 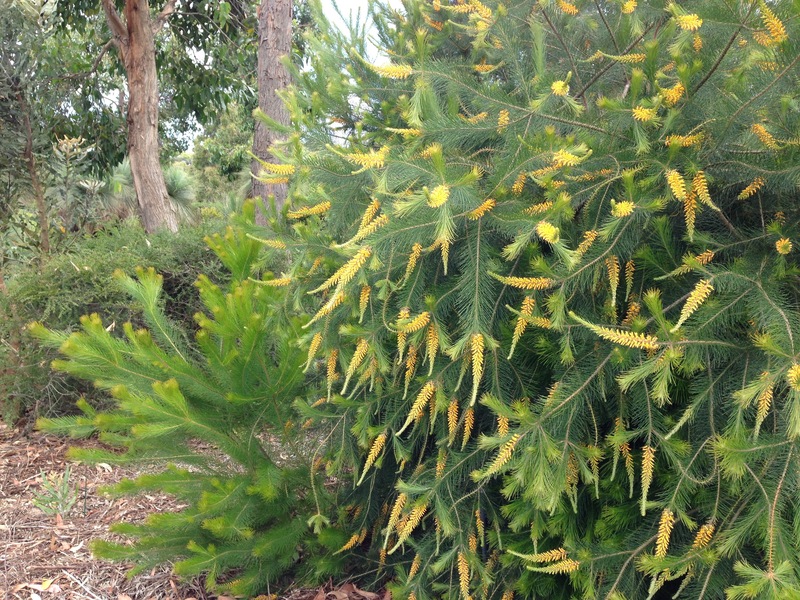 So many Western Australian native plants have big, showy flowers compared to their more modest east-coast cousins. I agree totally about the pruning Janna. So many people still believe that natives don’t need to be, or shouldn’t be pruned. The plants quickly become leggy and sparse and then they say native plants are ugly! Pruning Westringia cultivars, Babingtonia, lilly pilly etc into mounds, columns – whatever – gives them a presence in a planting design and adds much needed mass in an overall garden design. My very dry front garden mixes Australian east coast natives with South African, Californian and New Zealand plants. They are highly compatible. It sounds lovely, Catherine! Yes, my mantra is ‘little and often’ with native pruning. It is such a shame that people don’t believe how different they look if you just do this one, quick, simple thing. I do wish our (Opera House) Botanic Gardens would do more to promote this, but sadly, speaking to them, it isn’t on their agenda at all. Cranbourne BG is stunning and ‘world ‘class’ I wish they did more gardens like this in central Melbourne too – I have always thought that Docklands (for one) could do with a smaller version nearby. Imagine the tourist reaction! I agree with all your sentiments above. You are right Janna we shouldn’t forget our native species – there are also so many cultivars about these days that are bred for good form and reliability. Paul Urqharts book the ‘New Native Garden’ published some years back now was an inspiration and his planting schemes were well ahead of his time. Great Blog Janna – just got back from a short break so I was bit late reading this one. Hope you had a good break. We will need to get campaigning for Cranbourne mini outposts! It is absolutely world class, isn’t it? Just a shame it is located in an area that is not overly accessible. Thanks for visiting my blog, I am now following yours as I am planning a trip to Australia for next year and am really looking forward to discovering the gardens! Hi Alison. I think you are going to love Australia! The natural scenery is out of this world and there are some gems of gardens, too. If I can help with your planning at all, just let me know. I’ve travelled to all eight states and territories and love them all! Can you squeeze New Zealand in too? It’s also very, very special and very different to Australia. As a complete novice to Australian natives I am looking for a book that actually includes some garden designs. My partner has a 2 acre paddock situated in front of the proposed new house which I would like to develop. I would love to find a book that has some plans in it as hiring a designer is out of our rice range. Any suggestions. Hi Lydia. I’d have a look at Fiona Brockhoff’s website in the first instance. She is a very talented Australian designer who uses a lot of natives. Diana Snape has written some books with a traditional design angle and John Patrick and Jenny Wade have written one which is more contemporary. 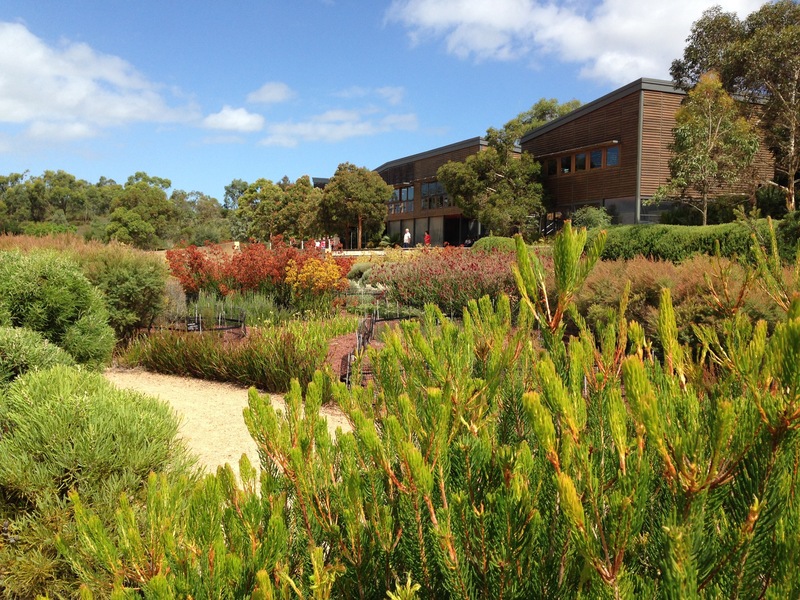 My best piece of advice though is to visit Cranbourne Botanic Garden just outside Melbourne, if you possibly can. It is unbelievably inspiring and all natives. Good luck!